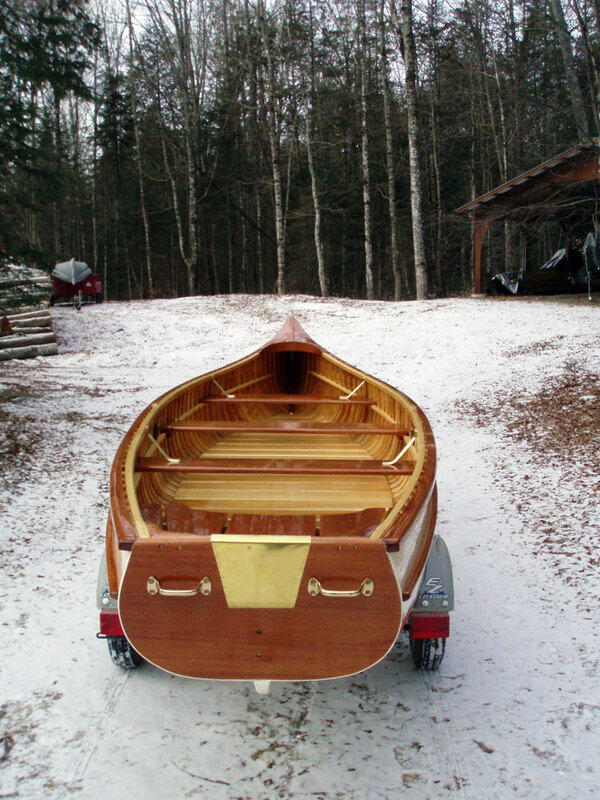 20' Voyager - Northwoods Canoe Co. 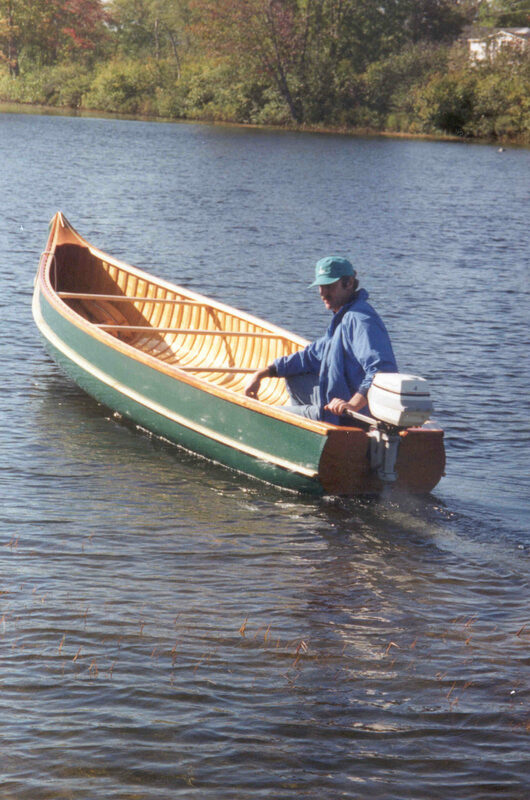 Built in the traditional style of the famous Maine Grand Lake Stream canoes, only larger, the Voyager was designed by Maine Guide Mick Fahey to carry heavy loads on large and windy lakes. Mick had a home and camps in Chesunook Village. The village is on the shores of Chesuncook Lake, a large lake in northern Maine, which has not had road access for 75 years! It once had a population of several hundred people but when Mick and his wife Eunice were there, the population was about 8! 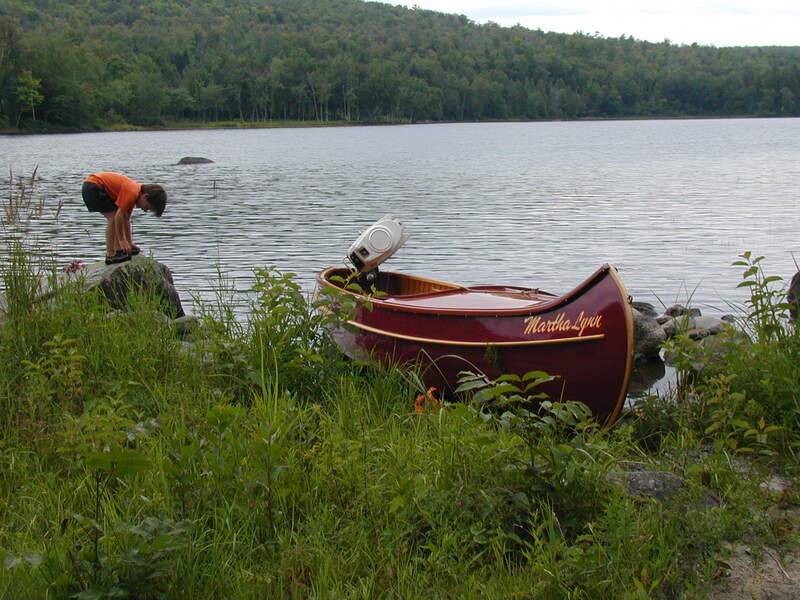 All supplies for the village were brought up the lake by boat so they wanted a boat design that they could depend upon. 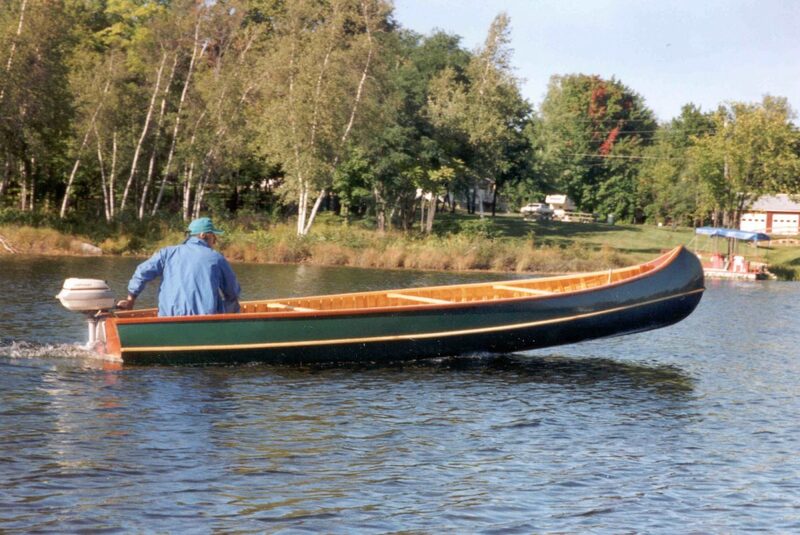 More than just a large canoe with a square transom, the stern rises and tapers so the transom does not create a lot of drag, especially at low power or when using a paddle or pole. 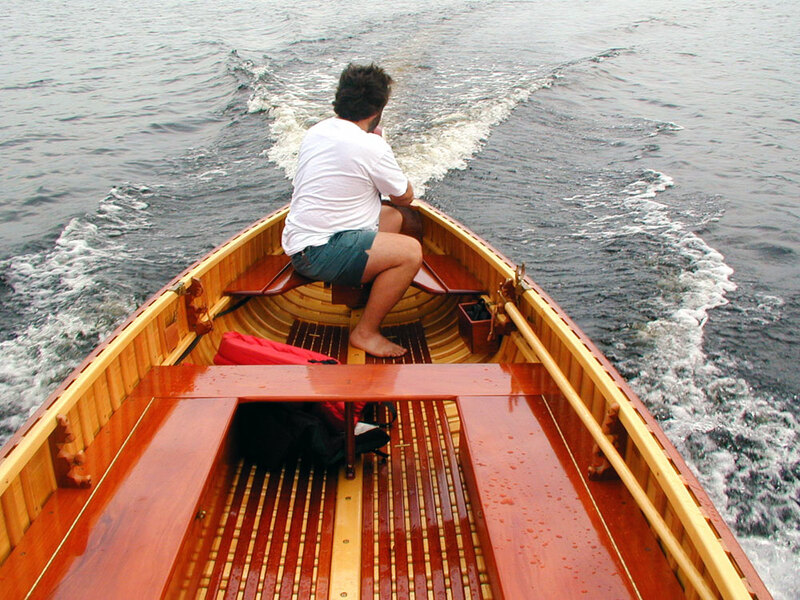 The standard Voyager is built for rugged use with heavy 3/8″ ribs, 3/16″ planking, half ribs, and a heavy inside keelson and outside keel. Spray rails help knock down heavy waves and keep the boat dry. 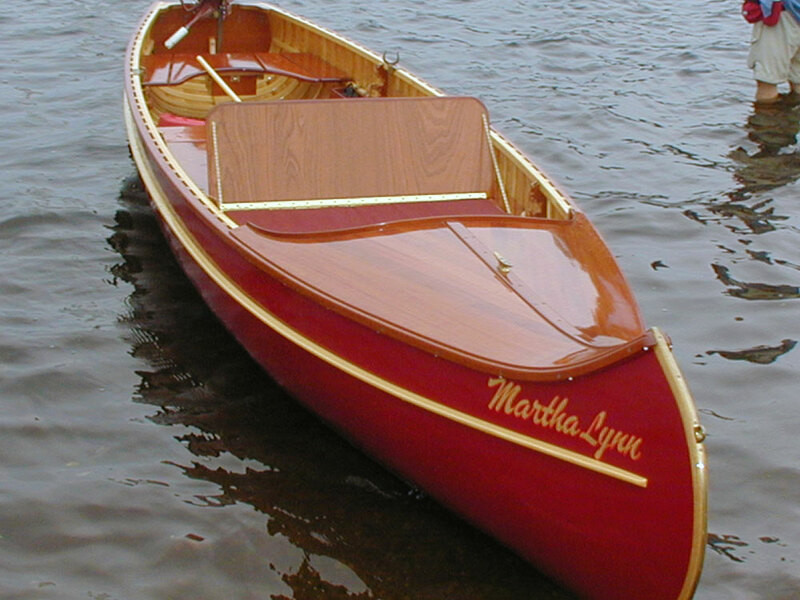 Spruce rails, ash transom, deck, thwarts and stern seat are used on the basic model. 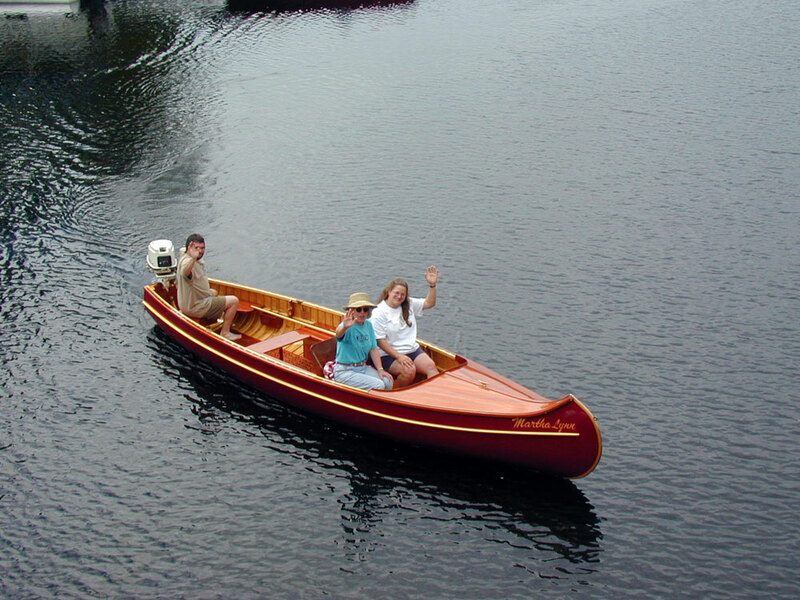 Some of the custom additions that have been added to the basic Voyagers are seen above, with options including but not limited to mahogany trim, floor racks, extended decks, forward storage compartments, rod and oar holders, a fan stern seat, and a seating well for passengers. Boat trailers and canvas covers can be ordered for the Voyager. I do not believe I’ve built the same Voyager twice. 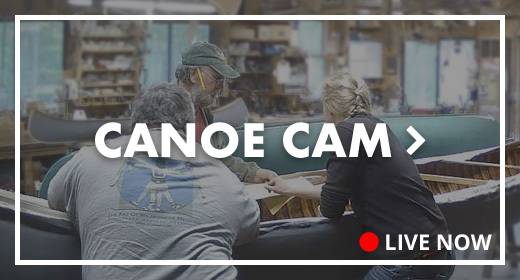 Every boat has had special options just for that customer and its not uncommon for the final cost to be in the range of 14 to 16 thousand dollars.